Opportunity. 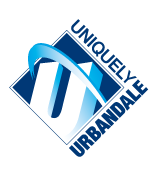 It is the policy of the Board of Directors of the Urbandale Community School District, to the extent reasonably possible, to provide an educational program for all enrolled students which provides each student the opportunity to be educated to the fullest extent of his or her abilities, aptitudes and interests. high expectations result in excellence. the most effective learning comes from a positive, supportive, committed team of family, school, and community. all individuals should possess the skills and knowledge necessary to become accountable citizens in a rapidly changing society. all students and staff should exhibit the six pillars of character: trustworthiness, respect, responsibility, fairness, caring and citizenship. reaching our full potential requires trust and respect. a safe, caring environment is essential. accept civic and personal responsibility. access and use information effectively. anticipate and constructively react to change. communicate ideas and feelings effectively in a variety of ways. demonstrate life-management and social skills. display global awareness and cross-cultural understanding. solve problems independently and cooperatively. reason scientifically, mathematically, and historically. Input. It is the policy of the Board of Directors to receive input from administrators, instructional and noninstructional staff members, parents, students and community members in assessing the program needs of the District, in developing specific long-term and short-term goals, objectives and strategies to meet these needs, and in assessing the progress towards meeting the needs, goals and objectives. The Board shall annually review its goals and objectives. Innovations. It is the policy of the Board of Directors to encourage improvements and innovations in the educational program of the District, provided such improvements and innovations are the result of thorough study, research, deliberation and assessment. Recommendations for changes in the educational program shall be brought to the Board of Directors by the Superintendent for its approval. Legal Requirements. It is the policy of the Board of Directors to meet all federal and state requirements for educational programs.